Carmageddon: Max Damage is ranked in the 9th percentile of games scored on OpenCritic. Carmageddon: Max Damage feels like it was made in the late 90's, which sounds great on paper, but not in action. 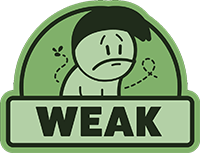 Max Damage is the video game equivalent of throwing spaghetti at the wall and seeing what sticks. I might not have been grunting a sub vocal "yeah" like the originals but this will likely be a "have time for a quick race/game" for years to come. The structure and play of the Carmegeddon titles have always centered around being a beautiful mess; Max Damage is no different. Carmageddon remains an unique game, worthy of your attention even if you weren&#xFFFD;t there when the original one came out. It may be graphically not excellent, but Max Damage is full of modes, has a long campaign, three difficulty levels and a really working online mode. If you want to have fun in front of your tv without complications, although a few slow loadings may turn your nose up, Max Damage will surely do. It’s really fun and challenging, but unfortunately, due to the crazy loading times -- and the fact I know the graphics could be better -- I have to give it the score it deserves, rather than the score I want to give it. Sweet, blood-soaked, unashamedly offensive catharsis - Carmageddon: Max Damage has all of the above in spades. Carmageddon was an alright title, yet nothing that stands out in the current generation of gaming. Poor Graphics, Poor Gameplay but an interesting concept. Carmageddon: Max Damage ain't no Cadillac, but it's no jalopy either. Rather, it's just alright: fleetingly frustrating, often enjoyable, but never transcendent the way killing pedestrians should be. The Carmageddon: Max Damage formula is always the same, but with a mediocre technical sector and obnoxious controls the game is just average. Carmageddon: Max Damage sees the player reduce pedestrians to gory slush across several arenas with cars built to cause mass devastation. Despite its issues, the game offers over 30 vehicles, 90 Power Ups, various game modes, several maps, and an Action Replay mode. You could argue that Max Damage would've been perfect back in the 90's or early 2000's when there was nothing else like it. Carmageddon: Max Damage is fun when it accomplishes what it sets out to do, but the disappointing online and limited modes really drag it down. If it had launched a little cheaper it would be an easy recommendation for fans of the original games. As it stands though, it needs a little more polish to be worth checking out. Carmageddon: Max Damage is a decent return for the franchise but the driving mechanics and AI need to be tweaked a bit to improve the overall feel of the game. Carmageddon: Max Damage is an ugly, annoying and downright tiresome game. Particularly so when played too much. But it's not without its charms. A strong variety in weapons, vehicles and maps. Crude humour that can work, at times. It's actually good in small doses, but not worth the current entry fee. 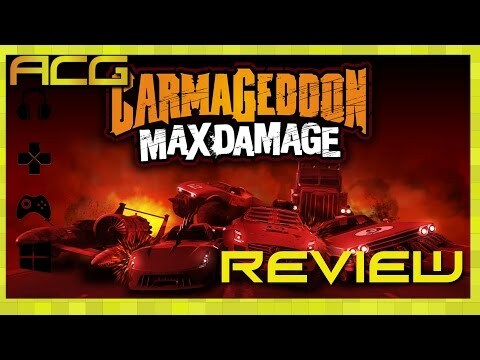 Carmaggedon: Max Damage isn’t exactly a groundbreaking game or even a particularly good one. A messy, obnoxious but yet utterly loyal update to one of the industry’s most unruly red-headed step children, Carmageddon: Max Damage manages to elicit fun in occasional bursts but its general lack of polish and innovation means that it’s an effort that can only really be recommended to long-time fans of the franchise. Carmageddon: Max Damage feels like it was designed in and for the year 1999, which on paper is a noble goal when trying to revive a franchise. Unfortunately, in practice it just doesn’t work, instead reminding us that time moves on. Max Damage is a collection of ideas that looked good on paper and sounded good in its Kickstarter pitch, but in practice it would only have been an acceptable sequel if it’d come out in 1999. The main attraction to Carmageddon: Max Damage is the variety in running over pedestrians while also ramming into opponents' cars. While there are five more game modes that are just different variations of the formula, the graphical limitations hold the game back from what it could've been. Carmageddon: Max Damage is a perfect throwback to fans of the series wishing to take another nostalgic hit, but there is nothing here to draw newcomers into the franchise. It feels more like a glorified side story of a larger Grand Theft Auto title, which makes it difficult to justify a purchase, coupled with the roughness of the gameplay and the animations. Carmageddon’s revival gets off to a sloppy start, though it gradually gets better with perseverance. Drawbacks such as the fickle handling and the so-so presentation become easier to overlook, but those first few hours can be a major slog. Swapping out AI racers for real life opponents will no doubt help to alleviate some of its issues, but even then, Max Damage doesn’t manage to propel this much-loved franchise back past the growing pool of troubled combat racers. Successfully preserving the spirit of Carmageddon, Max Damage is addictive and good fun. Unfortunately, it's also a hideous looking game, with a dodgy handling model and repetitive race types that add up to a frustrating, and ultimately disappointing whole. Carmageddon: Max Damage has a certain appeal, but if you don't get the game's uniquely sick sense of humour, you're going to hate it. Otherwise, you'll love it regardless, like an ugly dog with three legs or something. When I first learned about Carmageddon: Max Damage, I worried that it looked like an ill-begotten attempt to recapture the glory of a silly game from the '90s. It doesn't even get that far. In fact, I kind of wish I could bash it for going too far, like Duke Nukem Forever. No, this is just a game that feels half-assed from tip to toe. You can probably extend your enjoyment briefly by playing online against your friends, but there are just so many other, better novelty car games you could be playing. Go grab Mario Kart, Rocket League, Mad Max... hell, go grab that old copy of Twisted Metal Black. Just give Carmageddon: Max Damage a skip. It doesn't deserve your time and money. Carmageddon: Max Damage has the bare essentials in play to be a decent game but is hampered by the poor execution. It's a lengthy game that'll provide more than a few bangs for your buck, but you may find yourself banging your own head in. It's not that Carmageddon is a bad game, in fact I am fairly sure that there was a brief moment that I actually enjoyed it(possible onset Stockholm syndrome), but there isn't a single point I could pick out as being good either. The fact that the biggest accomplishment of Carmageddon: Max Damage is that the developers have managed to make seeking out revenge on pedestrians and smashing other characters up in a fit of road rage incredibly dull. Sadly Carmageddon: Max Damage was seemingly built just for those that want to re-live the original game, including literally all of its flaws. Had the target audience been expanded to those that like playing games that are fun, it could have been a huge hit. The game ticks all of the boxes for a Carmageddon game and fans will no doubt be thrilled, but for the rest of the gaming fraternity, the title has no redeeming features and there is nothing to recommend it. In short, if you're not a fan, steer well clear of this one. Boring is not an adjective you expect to use when talking about an arcade racer, but somehow Carmageddon: Max Damage manages to be so tedious that you'll struggle to keep yourself interested enough to see out all of its events. The disappointing car handling, aimless AI, and basic visuals all come together to make a real clunker, which even with its few interesting aspects, doesn't come close to being classed as roadworthy. At [a low price], Carmageddon: Max Damage is one of the cheaper console games on the market, but that alone doesn't warrant a recommendation. The poor presentation, long load times, and clunky driving don't do it any favours either. This is one game you can safely avoid. Carmageddon is a game that should have stayed in the 90s. This is yet another cash-in designed to pull the wool over your eyes. Poor games don't deserve your attention, no matter how much you liked something in the past. Carmageddon: Max Damage remains so tightly attached to the 90s that what sounded like a good idea, and what should have been a stupidly fun game, sadly does not manage to equate to anything but being a boring and rough racing game. Another failed attempt to revive a franchise whose time seems long since passed, especially given how frustrating and unrewarding this reboot is to play. Carmageddon: Max Damage ended being a new attempt to give us back the fun we had in the game that started the saga. However, it has a lot of technical issues, and there is too much to improve. This series reboot fails to replicate the cleanness of the original games’ racing mechanics.